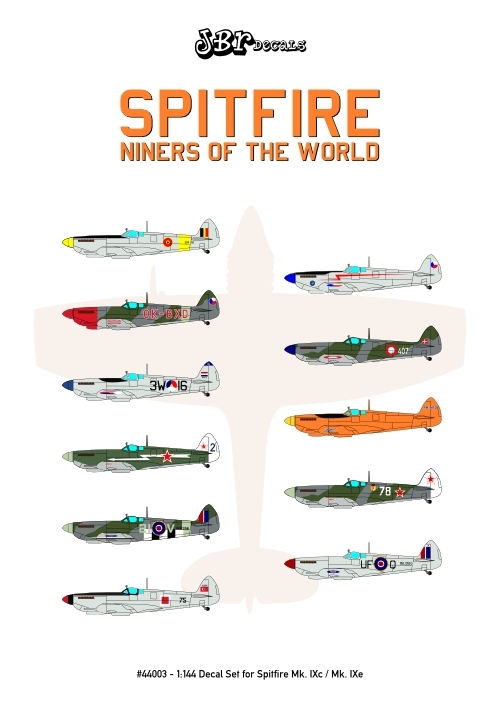 ONLY FEW REMAINING PIECES, ALMOST SOLD OUT!!! 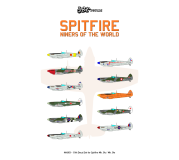 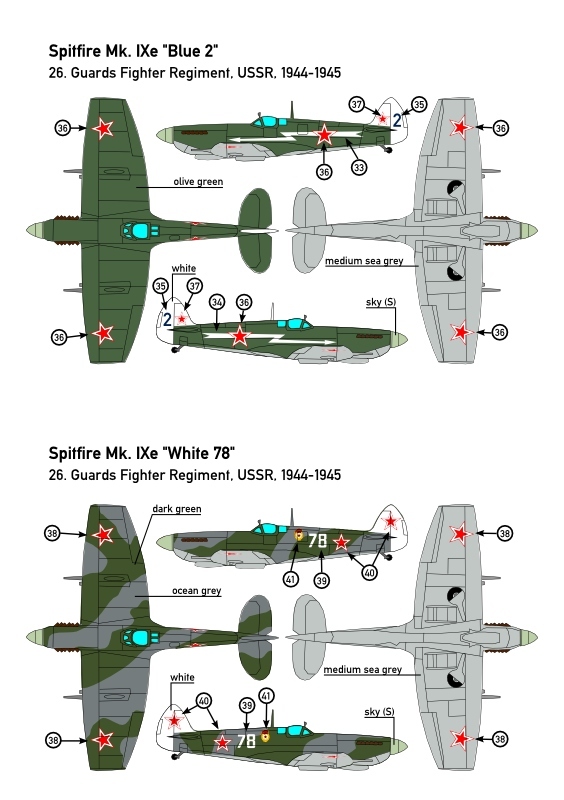 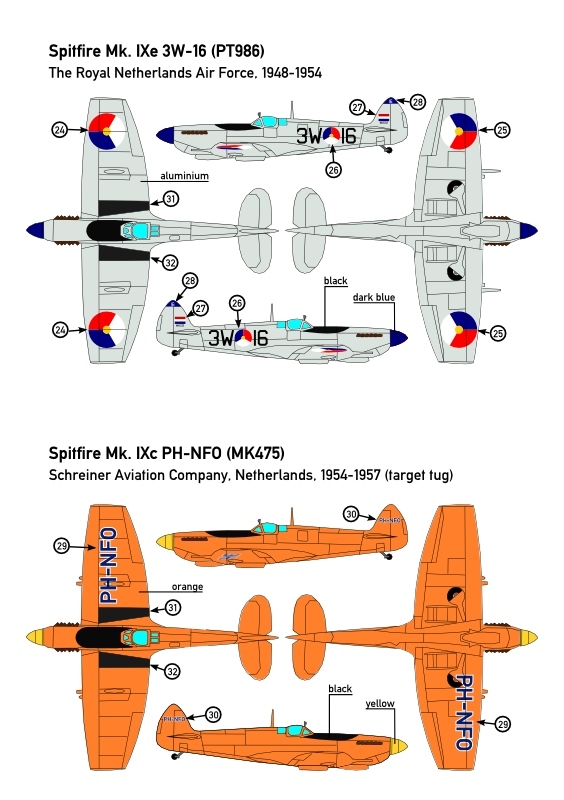 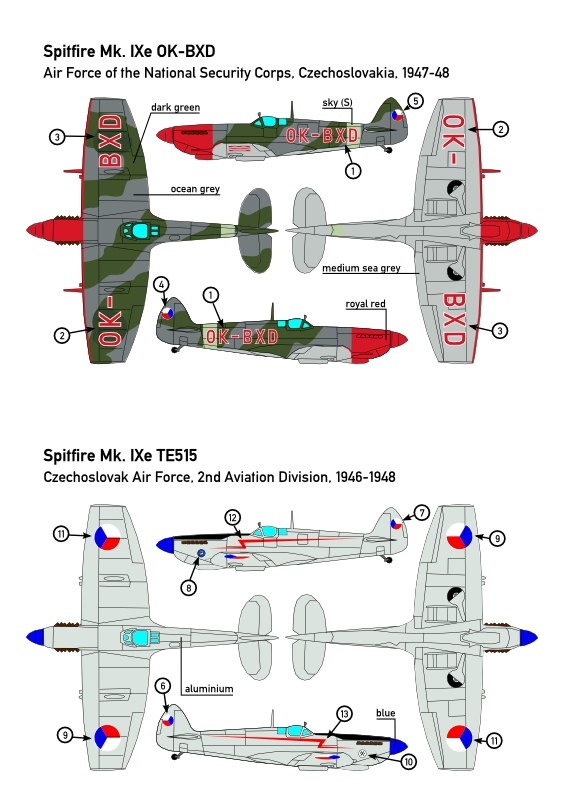 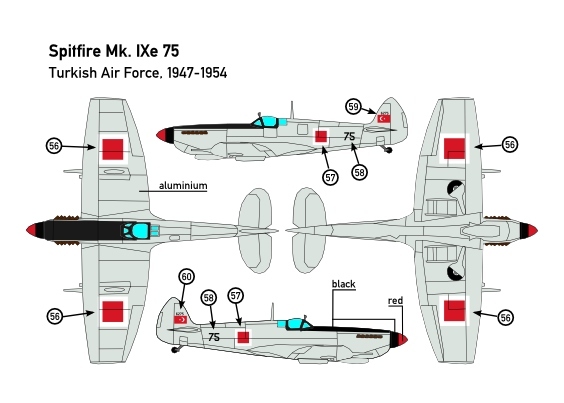 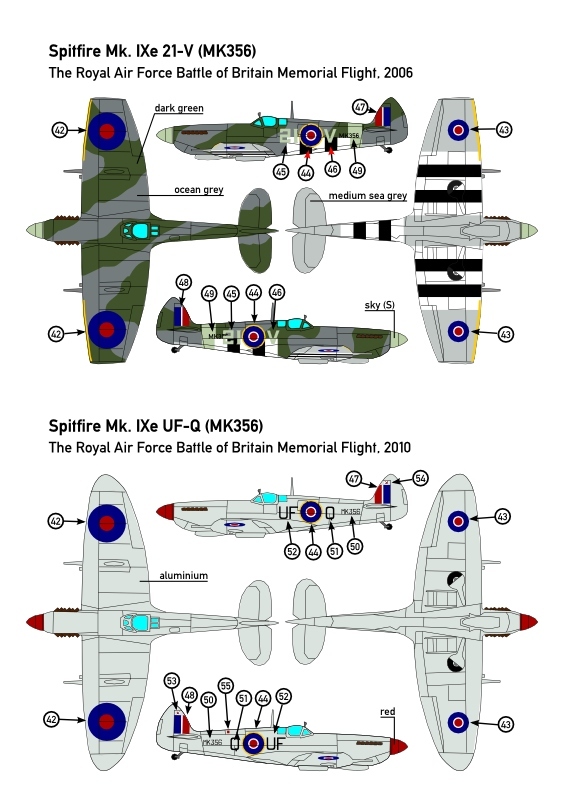 Decal set for Spitfire Mk. 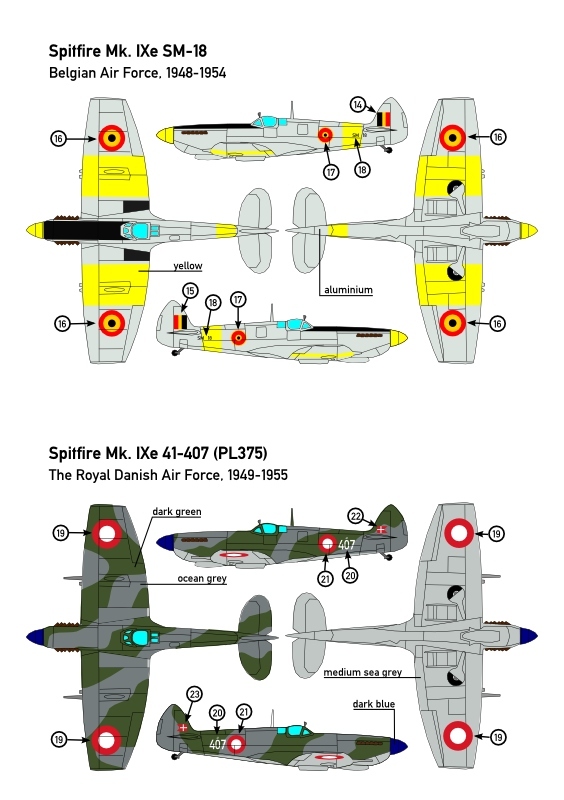 IXe a IXc 1:144 scale model kits. 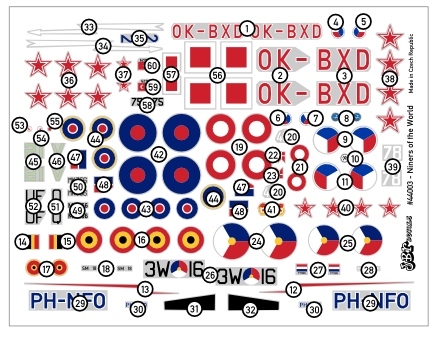 Contains screen printed decals for 11 liveries from 7 countries and detailed decal placement and painting guide.